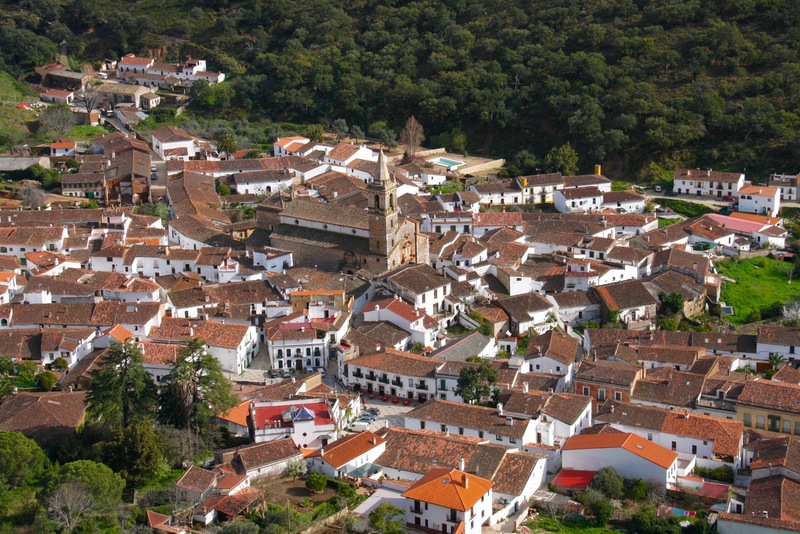 Nestling underneath the Pena de Arias Montano, and set amidst forests of cork oak and chestnut trees in the Sierra de Aracena, the tranquil mountain village of Alájar is a place to leave the world behind. 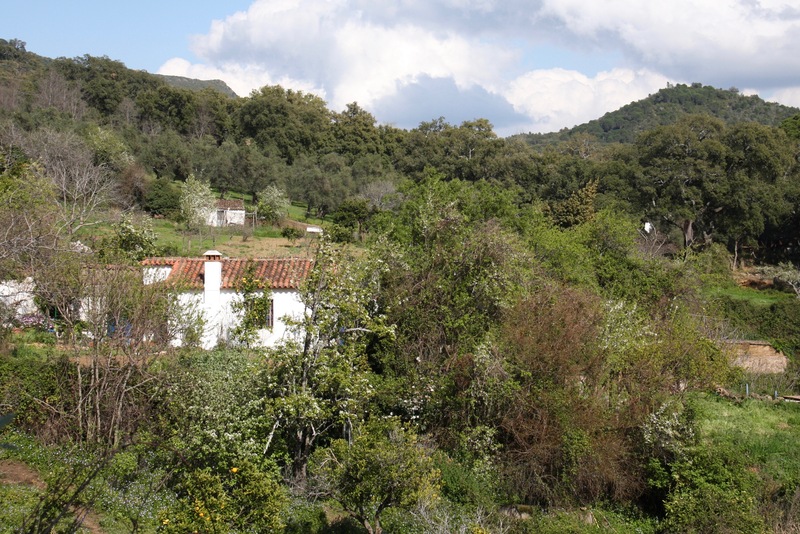 The village has an idyllic rural setting and must be one of the prettiest in the region. 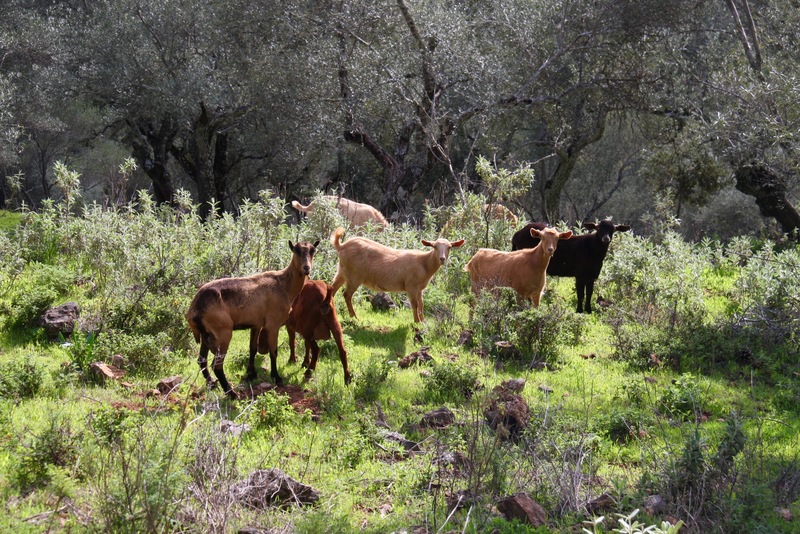 Home to around eight hundred people, there are plenty of bars and restaurants in which to sample the locally produced specialities of this glorious region of Andalusia. 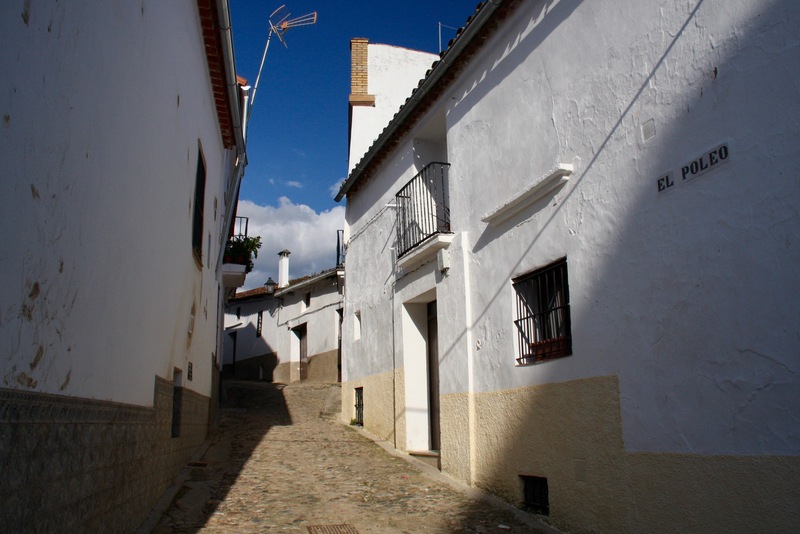 One of Alájar’s main attractions, other than eating and drinking, are the numerous lovely walks on old tracks between the hamlets of the area. 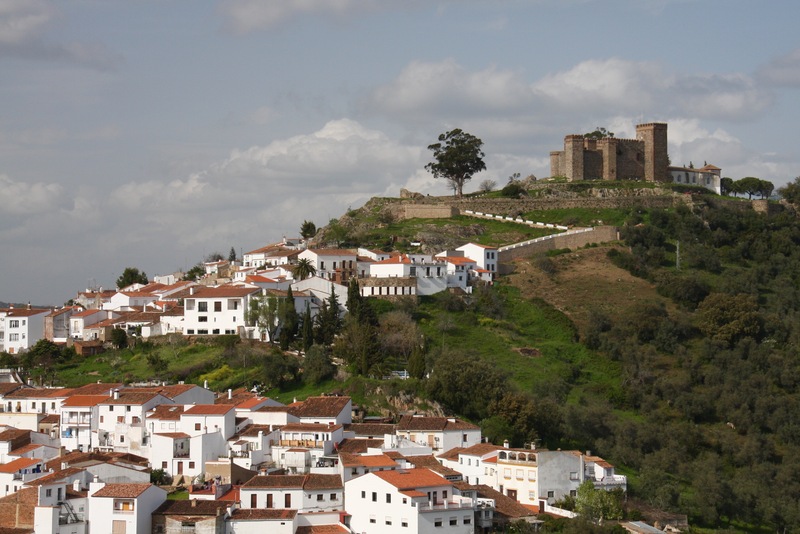 One of the most popular walks takes you up the hill to the pilgrimage site of Pena de Arias Montano. 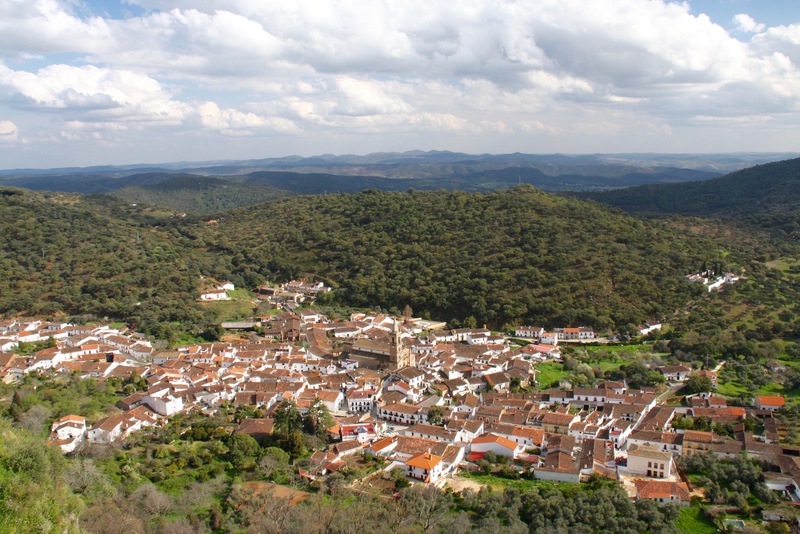 Not only does this offer spectacular views over the village, you can see for miles across the undulating forested hills of the Huelva countryside stretching to the south. 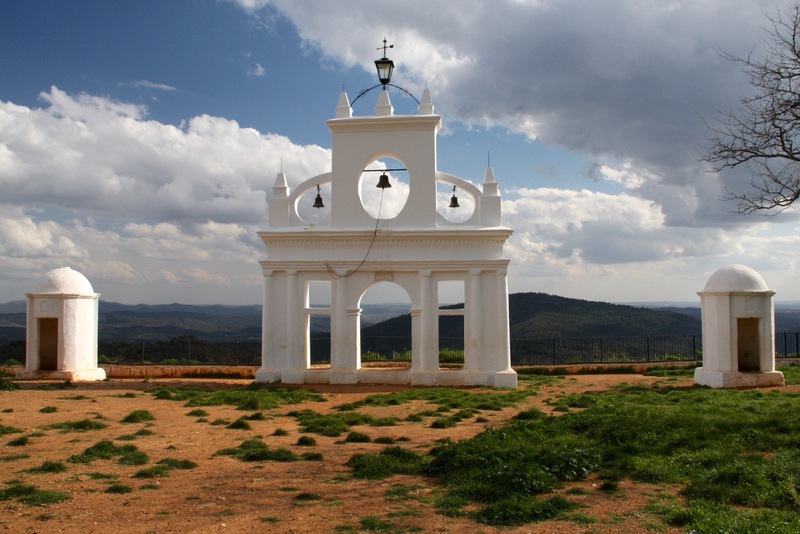 The hill is home to a small but historic church, the Ermita de Nuestra Señora de los Angeles, which attracts pilgrims from all over Spain. 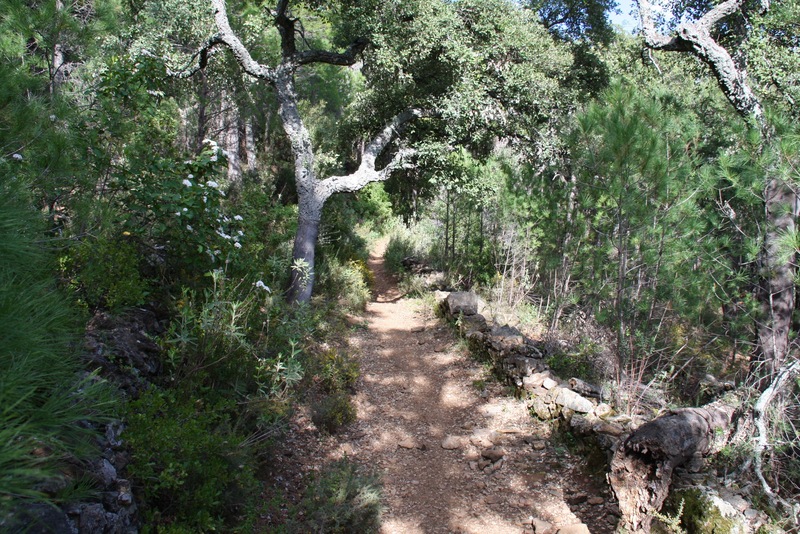 It’s perhaps most famous for being the place where Spanish theologian, Benito Arias Montano, came to live as a hermit. Montano was royal chaplain to King Philip II and responsible for producing a famed version of the bible, the Antwerp Polyglot. This remarkable book contained the bible translated into Hebrew, Greek, Latin and Aramaic. When you arrive at the top of the hill, it’s easy to see why Montano chose this as a place of contemplation. 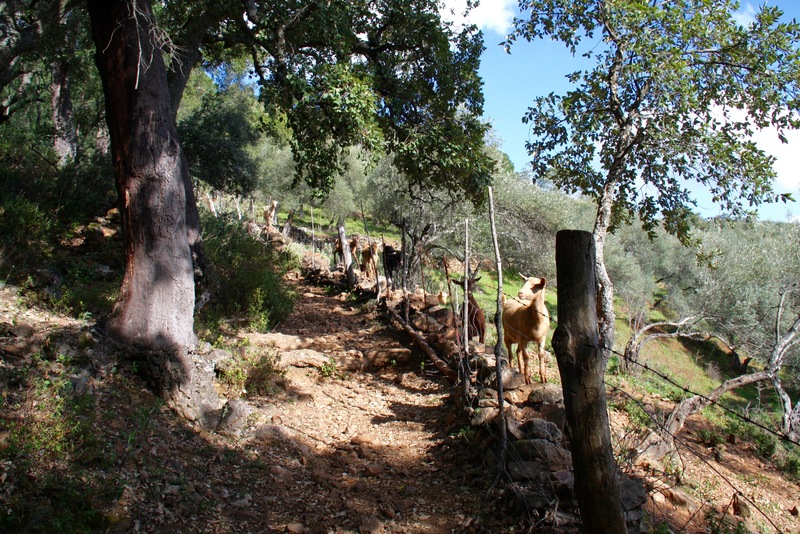 Coming back down towards the village, I followed dirt tracks between the trees and came across fields of inquisitive goats. The scenery was beautiful, and although it was a warm day the trees offered plenty of shade. The only noise I could hear was bird song and the breeze in the trees. Back in the village, time seemed to have decided to stand still. I wandered around the deserted streets, popped into the empty Iglesia de San Marcos, and headed into the main square to see if any of the tapas bars had any life. Not much was the answer. 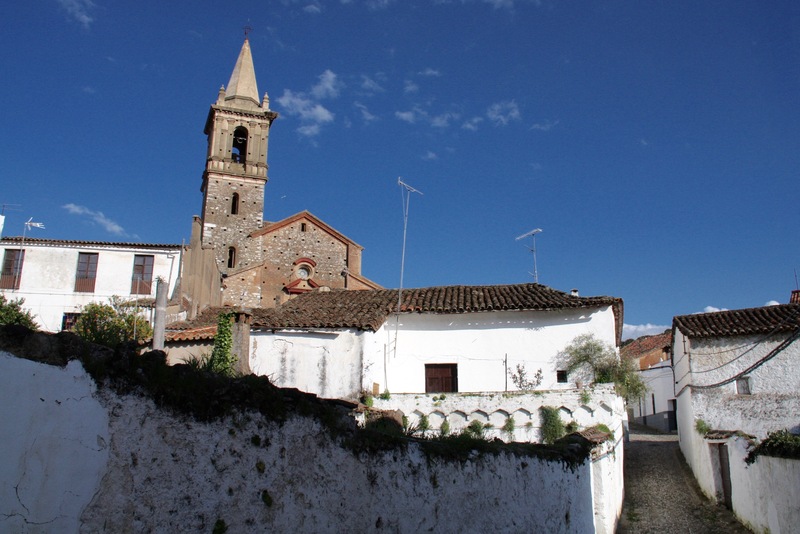 After a light lunch we decided to explore the villages of the area a little more, including Jabugo, legendary home to what many consider to be the very finest jamon in Spain. 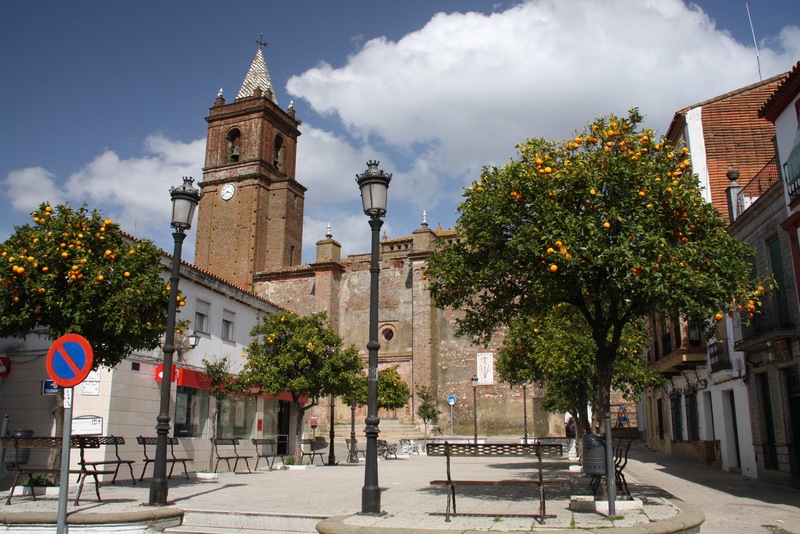 Jabugo may be the epicentre of jamon iberico de bellota, but the town didn’t seem to have the same charm as others we passed through. There were a few to many industrial units – presumably filled with legs of ham – and we decided not to spend too much time here. 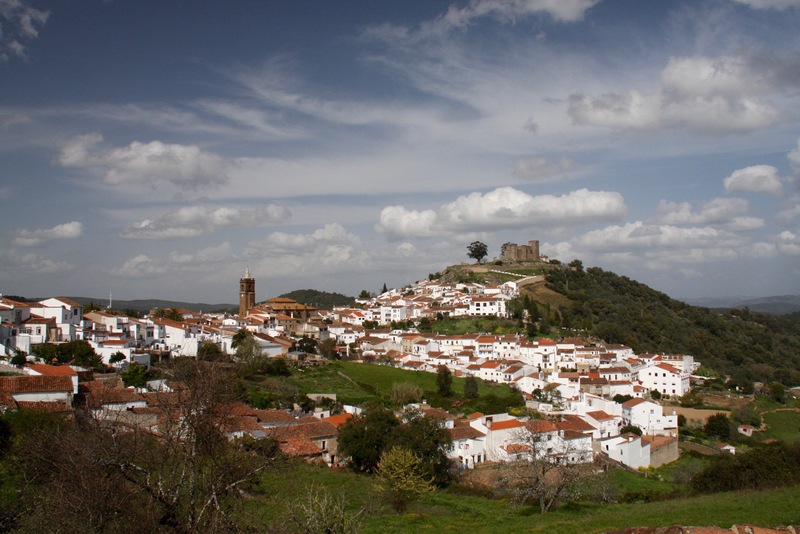 Driving south again, we came to the arresting sight of the village of Cortegana. It might be possible to overdose on medieval churches and castles in this part of Spain, but we decided to visit anyway. 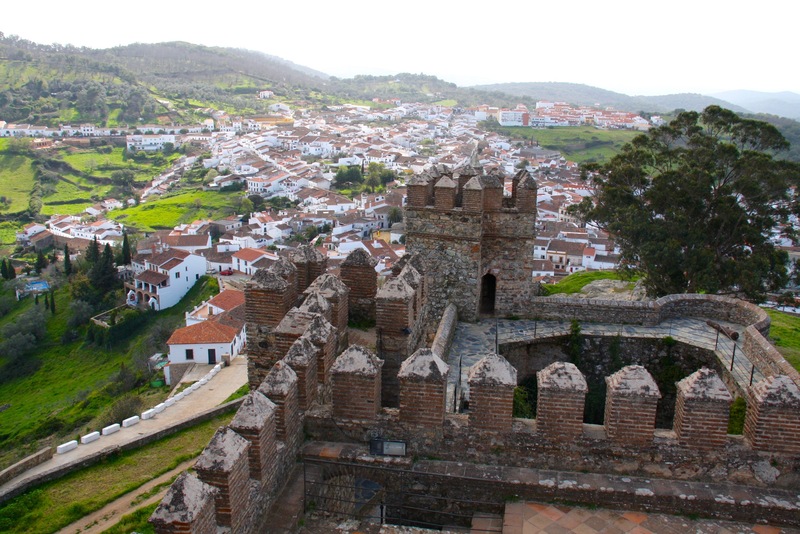 The impressive Castillo de Cortegana was built in 1253, while this area was still under Moorish control, as part of a defensive line of fortifications intended to prevent attack by Christian forces from Portugal. The border is only a short distance form here. 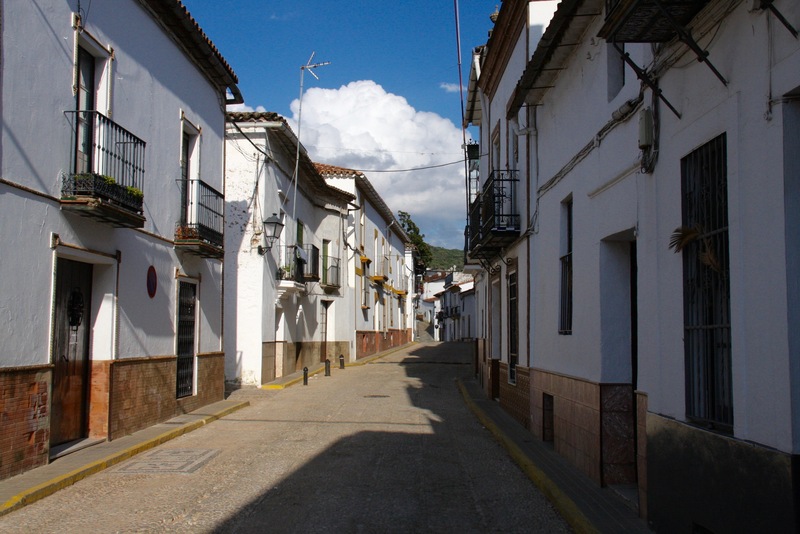 Cortegana is a bit bigger than most of the villages in this area, but still felt very sleepy. 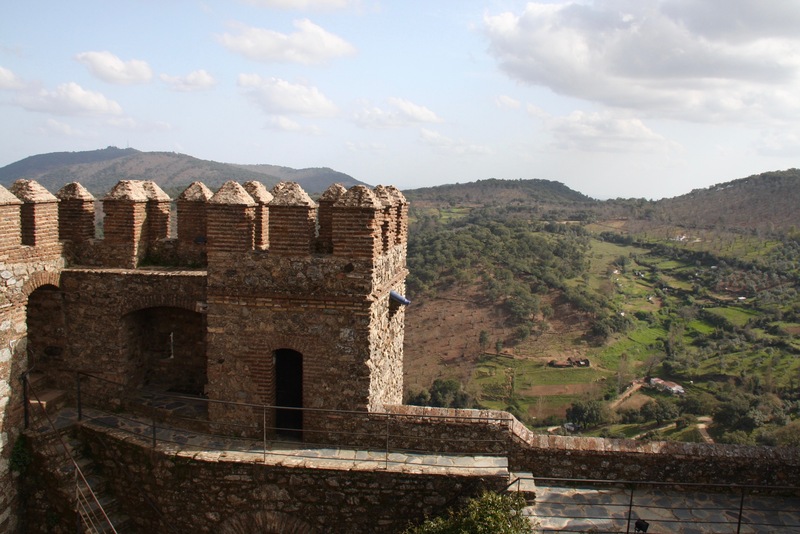 We walked through quiet streets up to the castle, which has been faithfully restored to its former glory. The views from the keep were magnificent. 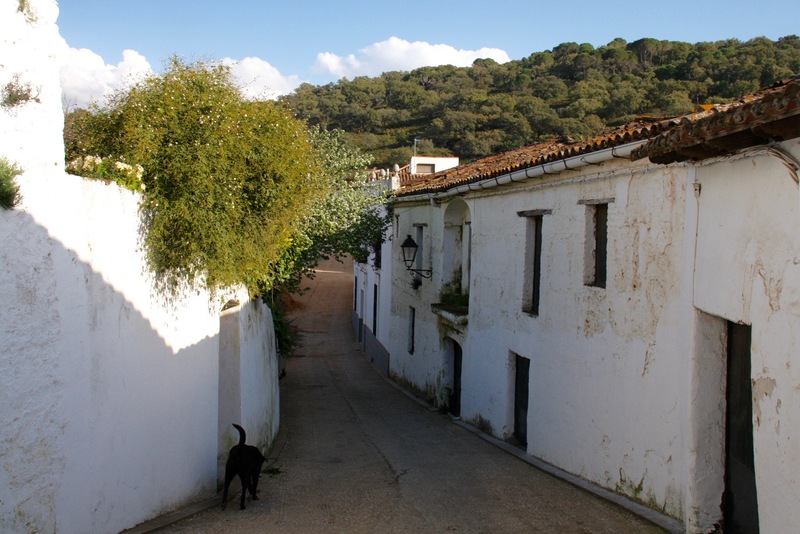 Deciding we’d had enough history for one day, we headed back to Alájar to sample more delicious local cooking.